The Perro de Presa Canario or Canary mastiff is a popular though rare dog breed that was first bred in the Canary Islands in the early 19th century. This powerful, strong willed dog is not for the novice dog owner, so if you are interested in adopting or purchasing one, make sure you get all the information about it first. Some experts believe that the Canary Islands are named after the Perro de Presa Canario, and not the other way round, meaning that the dog breed existed even before the island was discovered. Other names for the Perro de Presa Canario include Dogo Canario, Presa Canario and Perro Basto. The brindled varieties are also called Verdino. Origins– the Presa Canario may have originated from the Molossoid dogs native to islands of Tenerife and Gran Canaria. They could also result from cross breeding between Bardino and Majorero. 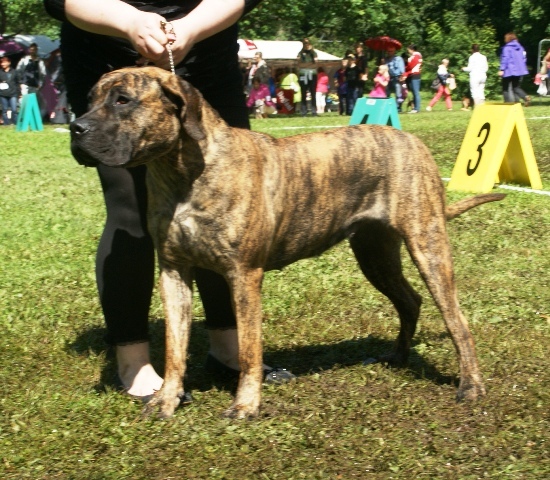 Presa canario attacks– There is a famous case of Bane and Hera, two Canary mastiffs owned by Marjorie Knoller and Robert Noel. They attacked and killed a 33 year old woman, Diane Whipple. Bane was put down the night of the attack. The owners faced jail time with Marjorie being convicted of second degree murder. Not all Presa Canario are of such vicious temperament- their temperament also depends on training and the genetics. Hence, choosing a good Presa Canario puppy from a concerned breeder is vital. Many delusional owners and ‘self proclaimed dog trainers and dogmen’ are trying to turn certain dog breeds, including the Presa’ into aggressive, powerful and unyielding bite machines. This is not the right approach to take. No dog will thrive if man tries to program him into vicious man-stopping attack dog. The Presa is a gentle, down to earth working dog breed who needs a gentle, loving family or owner. S/he is capable of many tasks provided the approach to training and raising them is a sensible one. 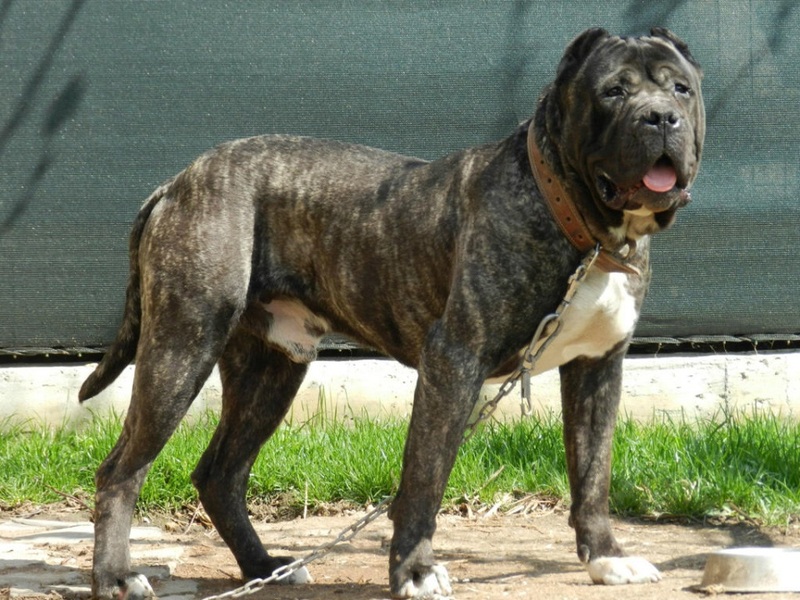 Presa Canario are of medium height with well proportioned, robust and muscular bodies. They have a wide deep chest. The head is large and wide skulled with ears set high. Their coat is short and rough without an undercoat. Presa’s eyes are usually chestnut colored. Coats in brindled species can be fawn and black with black mask. Height range is between 22 and 26 inches and weight lies in the range of 40-65 kilograms. Where to buy Presa Canario puppy? You can find many AKC registered breeders that breed Perro de Presa Canario for sale. Shaping a healthy, functional Presa is not an easy job as the breed is still being fixed. A good breeder will pay attention to the ‘material’ used in the reproduction. When selecting your Presa Canario puppy, you must ensure correct morphology (right height, weight etc) along with proper psychological balance. Note that your Presa wants to be included in your routine. S/hee needs love, attention and companionship. So do not consider buying a Presa Canario puppy unless you can make him/her your top priority. The average Perro de Presa Canario price lies in the range of $1000-$3000 for puppy. The Presa is of fiery temperament inherited from its Bardino ancestors. These were pre-hispanic, aggressive, hard working dogs used for cattle herding, hunting and other hard work. Today however, the Presa is known to provide loving companionships to their owners. The Presa has a powerful appearance with strong willed temperament. They make excellent watchdogs and guard-dogs owing to these qualities. They are impetuous but can become obedient if trained properly. Your Presa will be suspicious of strangers but reliable family protector. When selecting your Presa Canario puppy, make sure s/he has a good temperament. You can choose based on your needs such as whether s/he is to be a show dog or simply a good pet. Never buy from a breeder who only focuses on physical beauty at the cost of personality. Bring your kids along when you go to buy your Presa. Socializing your puppy with people, kids and pets from the very beginning is vital to your pup’s education. Presas love humans and generally accept other puppies. 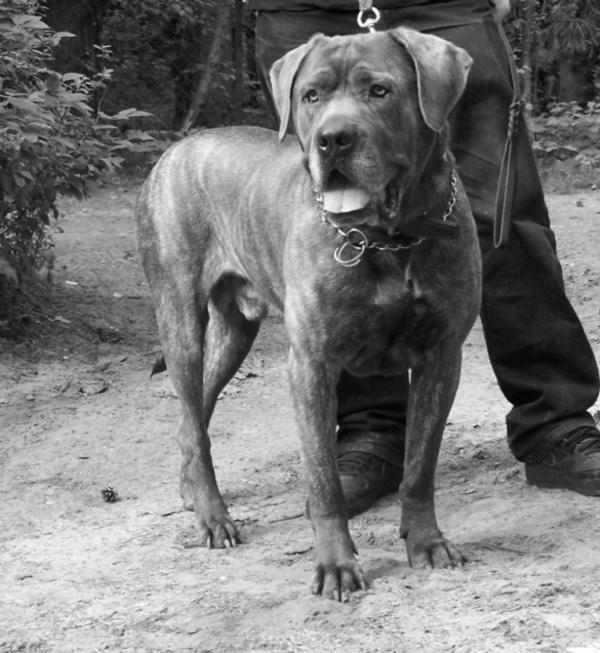 Many people compare the Presa Canario with the Cane Corso. 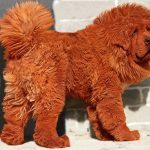 Both breeds are of similar color, height and weight as well as temperament and other characteristics. However, the main differences lie in their origins. 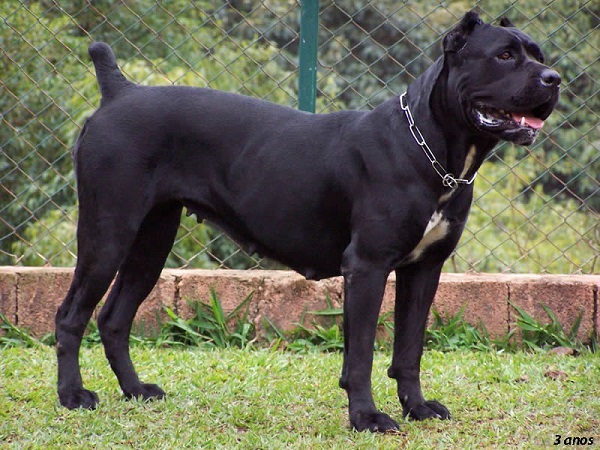 The Presa comes from Canary Islands whereas the Cane Corso was first bred in Italy. Please check out my guide on Cane Corso here. Both Presa and Cane breeds have similar life spans, health issues and minimal grooming needs. 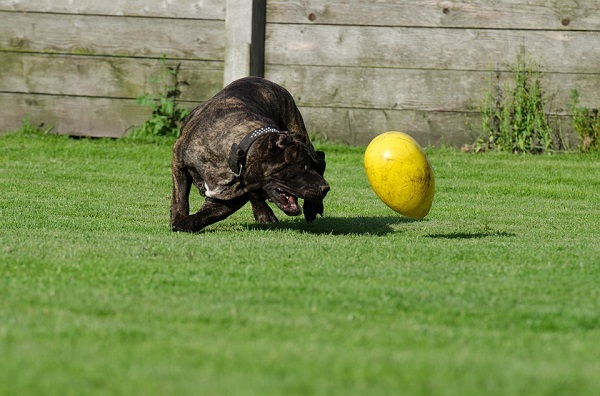 Ideal Presa Canario can live with a loving family with minimal training. His/her natural instincts will help in guarding the home and protecting and defending its family. Presa’s do not like disciplinary training techniques so proceed with your dog’s training in a patient, gentle and consistent manner. This is an intelligent dog that can get trained quickly provided you are consistent, gentle and patient. Many owners have trained their Presa without enlisting the help of obedience classes or training professional. Read books about training and check out my brief training guides here. Remember: your Canary mastiff is intelligent and easy to train but he can also be powerful, aggressive and ultra confident in his/her abilities. So train them sensibly to prevent them from getting aggressive or dangerous. Your Presa is an active, energetic dog breed who needs daily exercise of at least an hour. Never overdo training and exercise with young puppies as it can strain their growing frames. The exercise of walking and climbing is good for you and your adult Presa. Make sure you do not overburden your dog if s/he accompanies you on your backpacking trips. The Presa is prone to bloating which can be fatal. The key to preventing bloat is to avoid exercise immediately before and after meals. The choices of food for your Perro de Presa Canario are many and varied. Many good brands of nutritious foods are available in the market ranging for puppies to adults and senior dogs. Talk to your breeder/vet about the right food for your dog. Not all puppies can handle cow’s milk and can develop diarrhea or loose stools etc. Handle food intolerances and allergies by feeding hypoallergenic, grain free dog food. 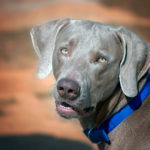 As stated above, different dog breeds have different nutritional needs. So discuss your pet’s health with an experienced vet in order to choose the right dog food for your beloved Presa. Your Dogo Canario will have a life span of 9-11 years. They are prone to hip and elbow dysplasia, bloating, and several other orthopedic concerns. Similar to Great Danes, a young Presa Canario puppy could also develop a neurological issue called Wobbler syndrome or spondylolitheisis. This is a hereditary condition and in some cases, euthanasia is the only solution. 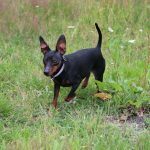 Miniature Pinscher – Get to Know the Lively & Intelligent King of Toys!